Be sure to push the stock bushing out first. In the picture is the way we do this in a press. Some people have gotten them out by drilling holes thru the rubber and then pushing them out. 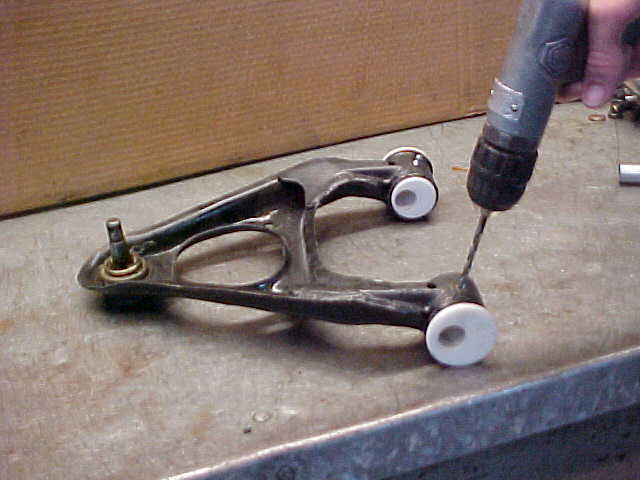 Install the first bushing with the hole toward the balljoint for the max camber. 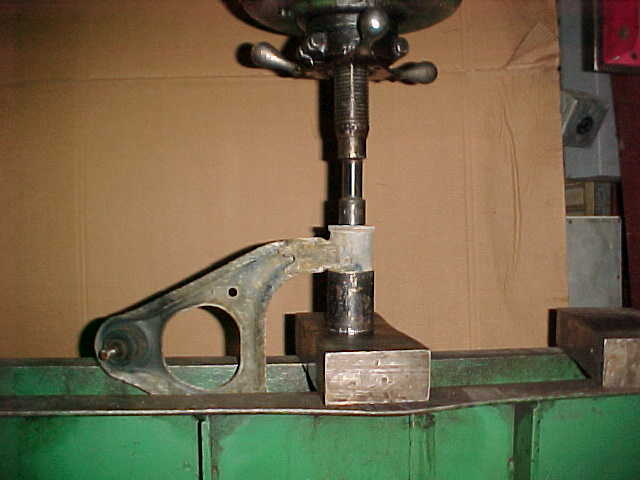 We use our vise to push the bushing in. After you push the bushing in, the inner sleeve will not go into the hole, we will take care of that later.Using a piece of 1/2 EMT or anything about 3/4 inch to line up the other bushing, push it in. 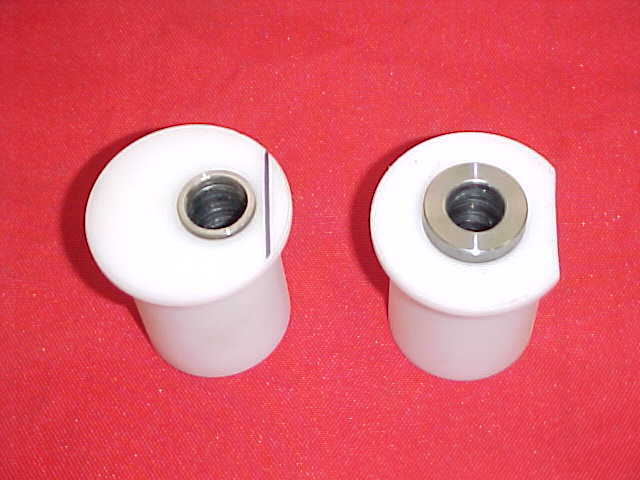 You need to open up the Delrin hole sightly to allow the metal sleeve to slide into the bushing. Be sure not to make it too loose. After doing both bushings slide the upper bolt thru the sleeves to make sure the bushings are ligned up. 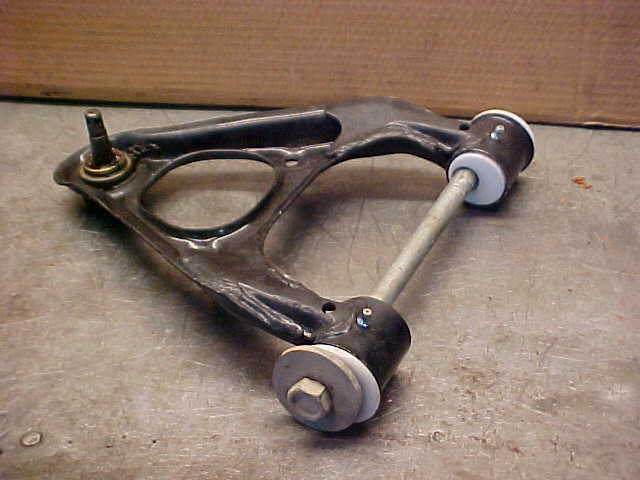 You may need to work on the bushings to make them lign up. 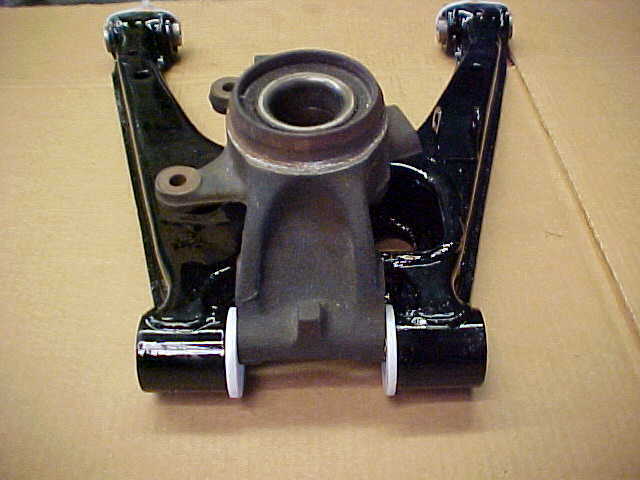 If the bushings are way off, you need to push one bushing out and relocate. 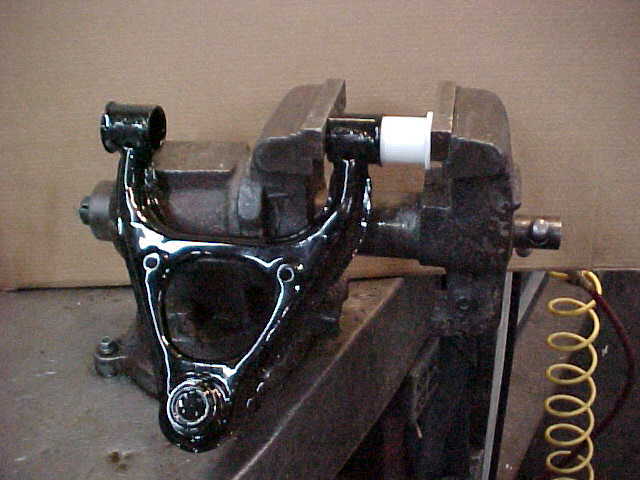 When both a-arms are done you can install the grease fittings. Drill 4 holes with a 3/16 drill all the way to the center hole. Using a hammer tap the grease fitting into the holes. 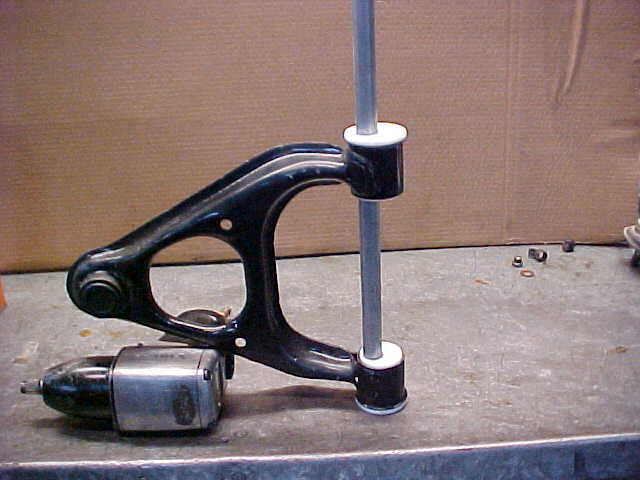 Tighten the upper bolt and nut to 50 ft/lbs. Make sure the a-arms move up and down very easy. 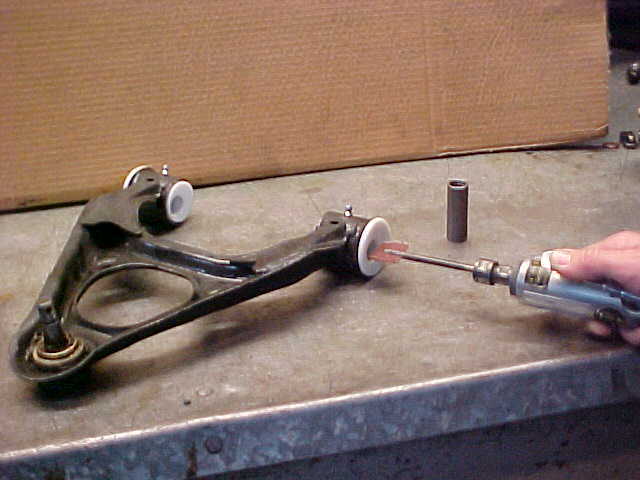 If you are going to be decreasing the camber, you must grind the edge of the bushing to let it clear the lower control arm. Push the bushing in using the instructions above. Once they are installed, you must make sure the rear housing fits in the space. You might need to sand the inner edge of the Delrin.